With an increase in assessments of property tax around the nation, real estate property tax planning has emerged as an issue of rising concern. This is the reason why consumers, business, developers, agencies and financial institutions are turning to tax planning experts for assistance. It is important to understand that real estate taxes are fully deductible, whether levied by a state, county, city, township or any other local government. However, deductible taxes do not include charges for services performed in certain cases. It must also be remembered that as a general rule, the person who owns the real estate and owes the taxes is the one who can deduct them. A knowledgeable real estate tax planning individual or firm can help to guide you through the multiple and varied regulatory issues that you must address handling a real estate transaction. 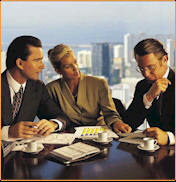 The standard ranges of services provided in tax planning are driven by the circumstances and clients. Most firms work to help their clients in achieving the correct property assessments, negotiating tax abatements, exemptions for qualified tax payers and finalizing state and local incentive packages for businesses involved in relocation. Most firms will also help in understanding if an appeal is necessary and will help you file the appeal, with the help of a qualified law firm. The current real estate tax code is large (tens of thousands of pages) and extremely complex and in many cases it requires consulting services from an individual or firm that can help you understand and navigate through the tax code. The real estate planning organization must begin its tax planning process by understanding your business and personal records and tax planning needs and objectives. This knowledge will help the consulting firm grasp your tax planning requirements and enable them to advise you on your immediate real estate property tax planning needs and how to plan for the future.